What can small businesses learn from Paula Deen? I am an active user of Facebook. The site provides an easy to use forum to keep in touch with friends, family, and to help promote the things that interest you. It is also a good way to share ideas and to discuss the topics of the day with people from a wide variety of backgrounds and cultures. So, when a hot issue starts making its way around the country, it is inevitable that Facebook users will be there to dissect it in every way possible. 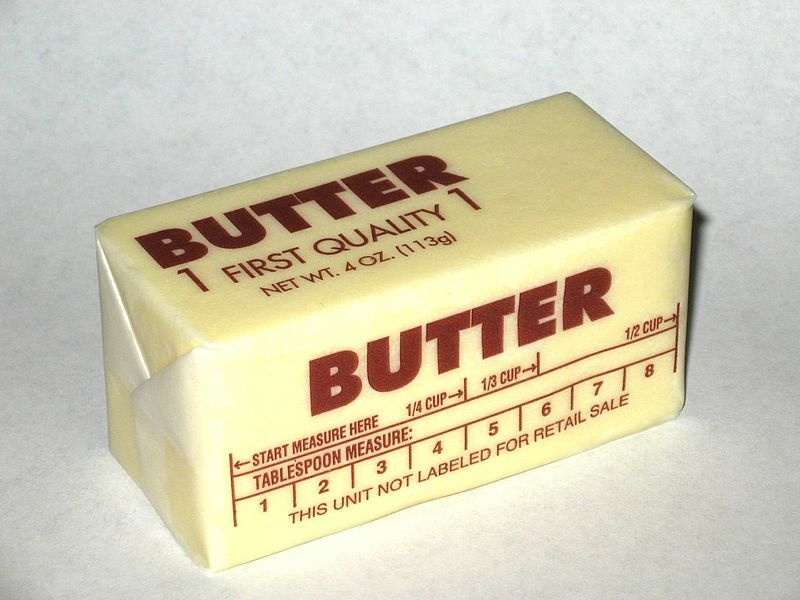 I do not want to be sued by Paula Deen, so here is a picture of a pound of butter. Case in point: Paula Deen. For those of you who have been living on an island with a basketball named Rawlings, here’s what happened: Paula Deen, a celebrated chef that specializes in rich, savory Southeastern American cuisine, is being sued by a former manager of one of Deen’s restaurants for sexual and racial harassment. During a deposition of Deen, she admitted to having used racial epithets in the past. Once these statements were made public, Ms. Deen clumsily attempted to apologize and ultimately made things worse. Coupled with some problematic public statements Deen made on some television shows, several very prominent sponsors have chosen to either not renew her contract, or to dump her altogether. In reading the various responses and replies, I noticed that many people were either dismissive of her behavior or were apathetic to the inane ramblings of yet another celebrity. The problem is that Deen is not just some television celebrity, but a restaurant owner that operates 2 locations and employs dozens of people (not to mention the crew that records and produces her show). Paula Deen is a celebrity business owner, and a business owner still has obligations to her employees and business partners. And Deen’s business owners are none too pleased. When entering into partnerships with another business, whether for advertising, endorsements, or for services, small businesses should always ask, “Is this in my best interest?” Due diligence is essential before chaining one’s business to any other entity. Despite popular misconception, the Food Network did not “fire” Deen, but it did not renew her contract. A fine difference, but an important one. Had her contract not been eligible for renewal right as this controversy broke, then it would have been much more difficult for the Food Network to have terminated the relationship. A business must sustain itself on the quality of its product or service and its goodwill within the community. Thus, regardless of the personal politics of the owners, to take unnecessarily controversial stances is to court bad publicity. Generally speaking, the best path to take as a small business owner is that of least resistance. Do not alienate your customers. Do not ostracize your business partners. Do not discriminate against your employees. Walmart, Target, Home Depot, etc. risk losing 100 customers offended by Paula Deen’s comments for every one of those who would stick with her to the gates of Hell.